Last time I outlined the difference between reporting a condition such as "The tire went flat" and the Root Cause or fundamental reason why a tire is in the condition it is in. 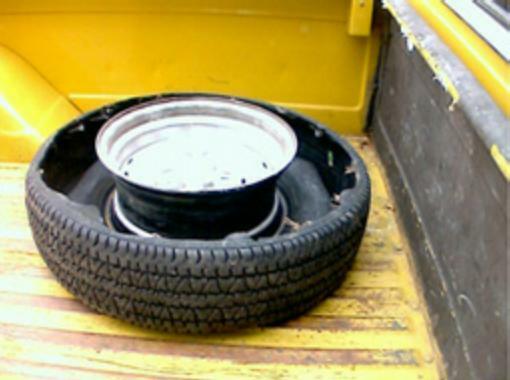 This is a critical item if you want to try and prevent another tire failure. This time I will cover one of the more common conditions many call a "Blowout". 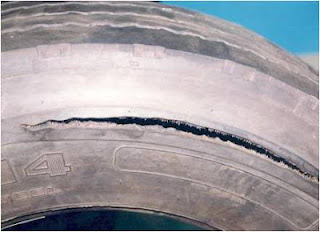 What we are looking at is the evidence and tell-tale signs that point to the fact that the "Blowout" was really a Flex Failure of the sidewall due to a tire running at highway speeds while seriously underinflated. This happens so frequently we have a special name for it "RLOF" short for Run LOw Flex. Here are a number of examples. While many are passenger tires some are Light Truck. In each case there was melted polyester body ply cord. Polyester melts and fuses just like the nylon rope you get at the hardware store and hold a lighter under the end to melt it to stop it from fraying. Body ply looses about half its strength near 300°F and melts at about 395°F. 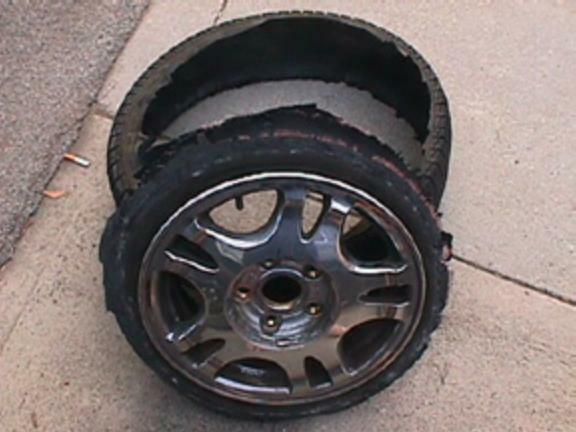 Sometimes the speed, tire size and load conditions cause the tire to fold and buckle which results in this saw tooth appearance. I have seen a video posted of a failed tire and while the shot is short I think it had this condition. Last weekend, I happened upon an RV that had just suffered a tire failure. I stopped to see if they needed help. After we got the tire changed, I noted the evidence of a RLOF. The tell-tale flex zone running 360° around the tire making it look as if someone had cut the entire circumference at the same location on the sidewall. The above tire looks pretty bad but under close examination I quickly found the proof (melted cord) of RLOF. So here we have a condition RLOF that is much more descriptive than "Blowout. When we say RLOF then you know the Root Cause was the thing that caused the air to leak out. Could be a puncture, leaking valve, lack of maintenance, impact or other external damage so we could continue our examination to see what caused the air to leak and then we have a chance to take corrective action to prevent a recurrence. What I do not see is a RLOF caused by bad tire design. Finally almost all the above might have been prevented if the RV had a TPMS as the driver should have been warned well in advance of the tire loosing more than 10 to 15% of its air not the 50% to 70% loss that results in a RLOF.